Your request has been sent successfully, we will contact you as soon as possible! 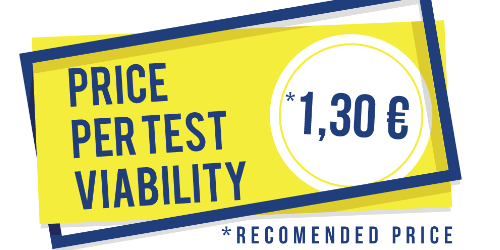 You will recieve a copy of this code at you email! 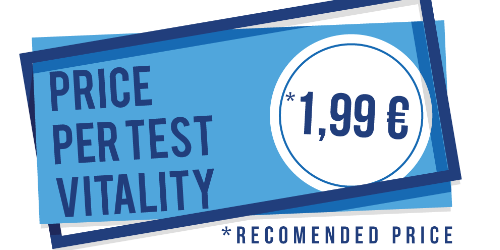 Leave your email and phone number for a special offer from us! 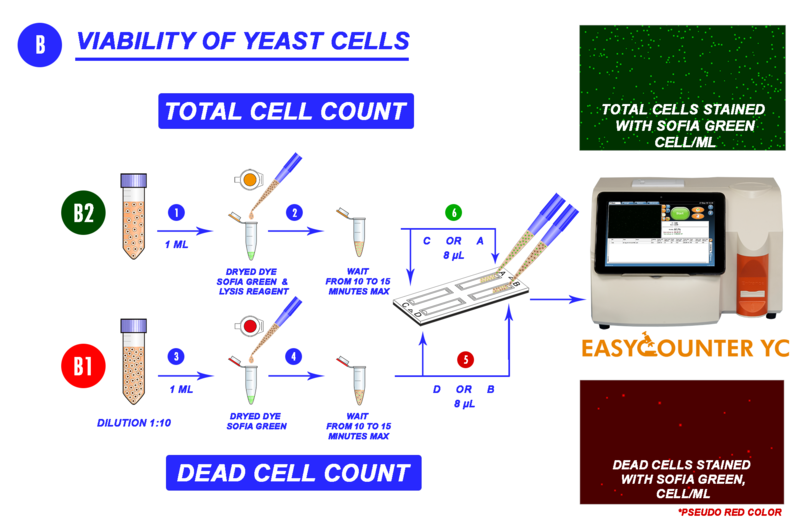 EASYCOUNTER YC Yeast cell counter is based on fluorescent image cytometry for counting cells. 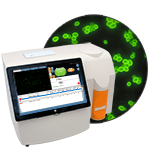 The instrument counts individual yeast cells in suspension by detecting the fluorescence signals of stained DNA in the cell nuclei. 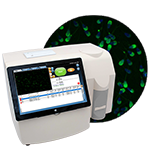 It performs viability and vitality analysis. 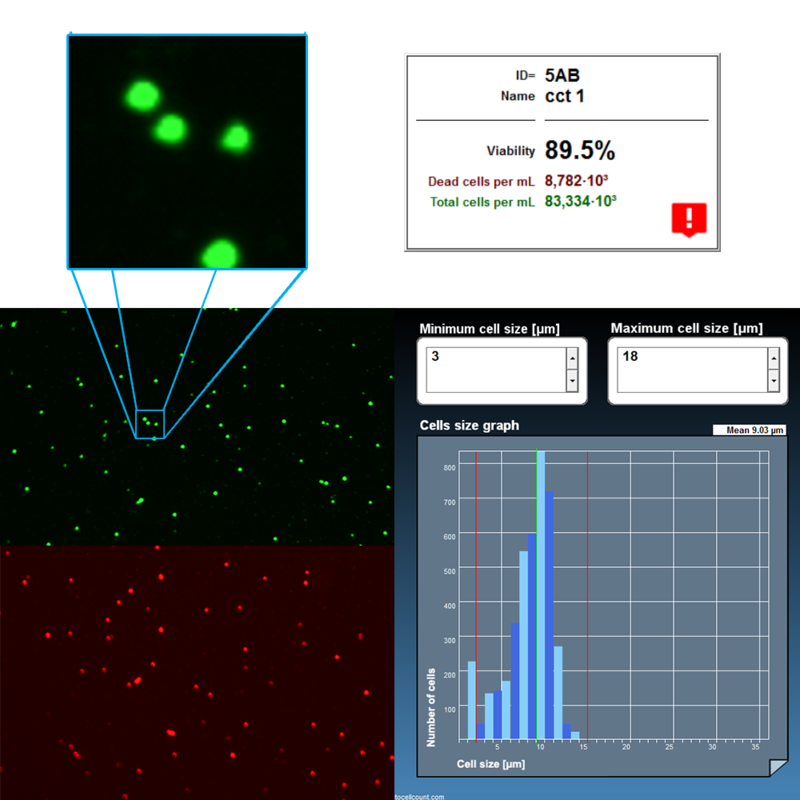 Viability is defined as a percentage of live cells in a whole population. In many cases, toxic effects of chemical or physical factors do not lead directly to cell death but may compromise cell ability to divide without necessarily leading to cell death. 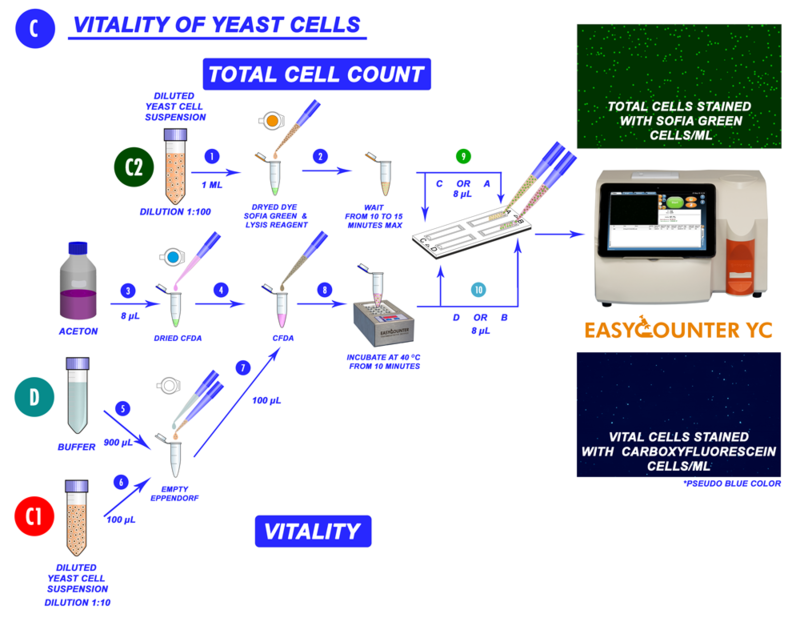 The analysis for assessing cell viability provides information only on alive and dead cells in the whole population, but do not provide information about the number of vitality cells. 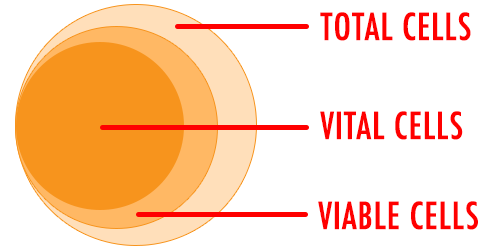 Vitality is defined as the physiological capabilities of cells. It is important to note that cell viability and cell vitality represent two different aspects of cell functions, and both are required for the estimation of the physiological state of a cell after exposure to various types of stressors and chemical or physical factors. 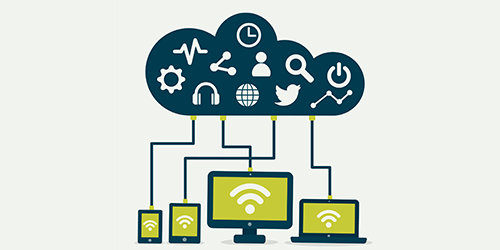 Results are easily stored and accessible at our cloud from any device all over the world or on your own local secure server. 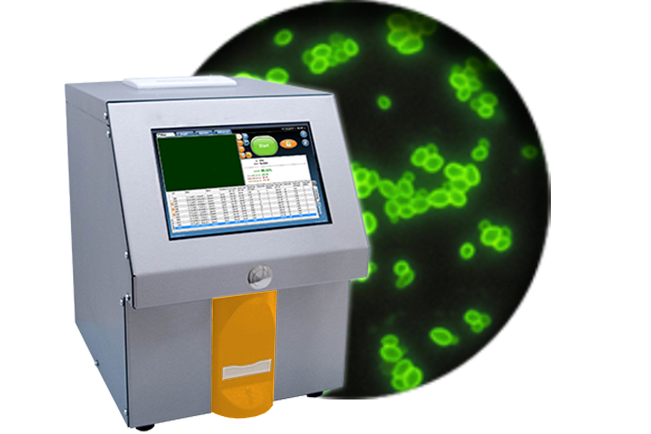 The high precision vitality yeast cell analysis is affordable for small to large breweries, wineries, bakeries, labs and others. The high precision viability yeast cell analysis is affordable for small to large breweries, wineries, bakeries, labs and others. 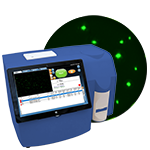 Fully functional demo software with results from real tests of milk samples from animals suffering from subclinical, clinical, yeast and mycoplasma mastitis. 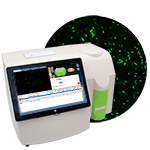 Our device is suited to be used in all environments and situacions. 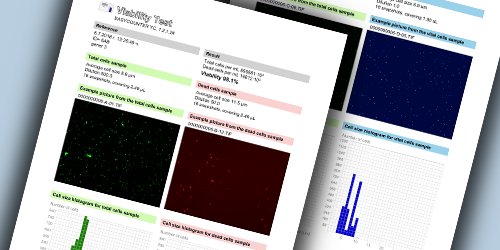 Results from the analysis can be printed to the inbuilt printer in short report or exported in pdf and excel in extended report with images and graphs. 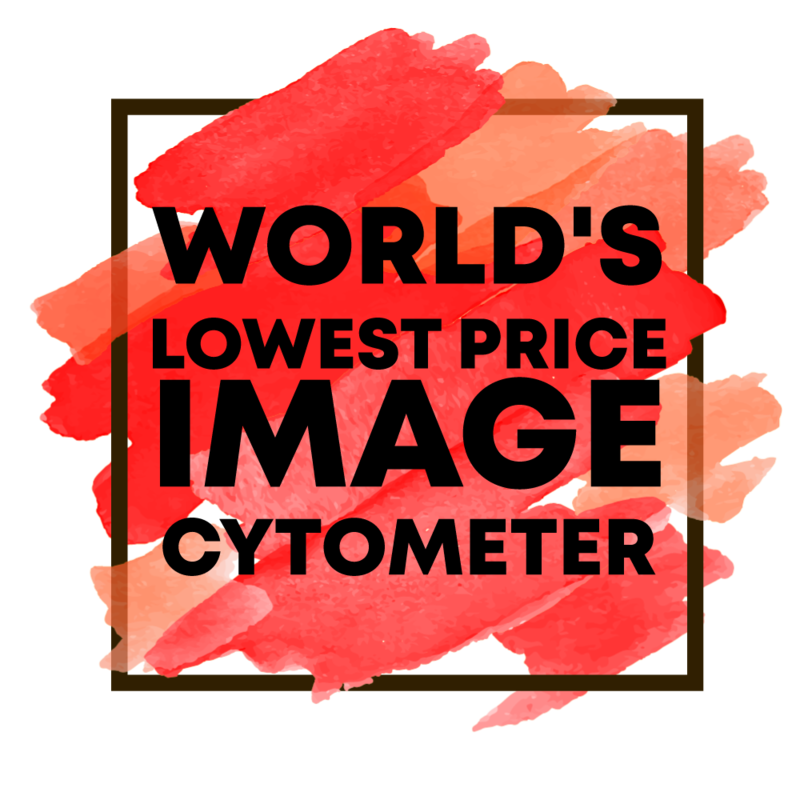 EASYCOUNTER YC is an automated microscope based on image cytometry for counting cells. 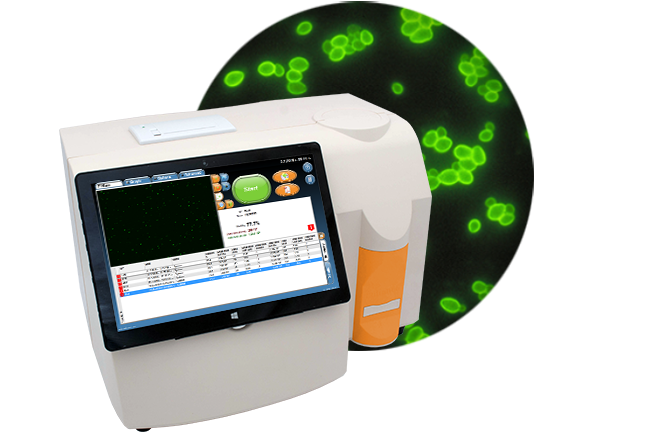 The yeast analysis is precise, reliable and fast - thanks to the fluorescent dye, laser diode, optics and CMOS imaging sensor, the analysis of the milk is precise, reliable and fast. 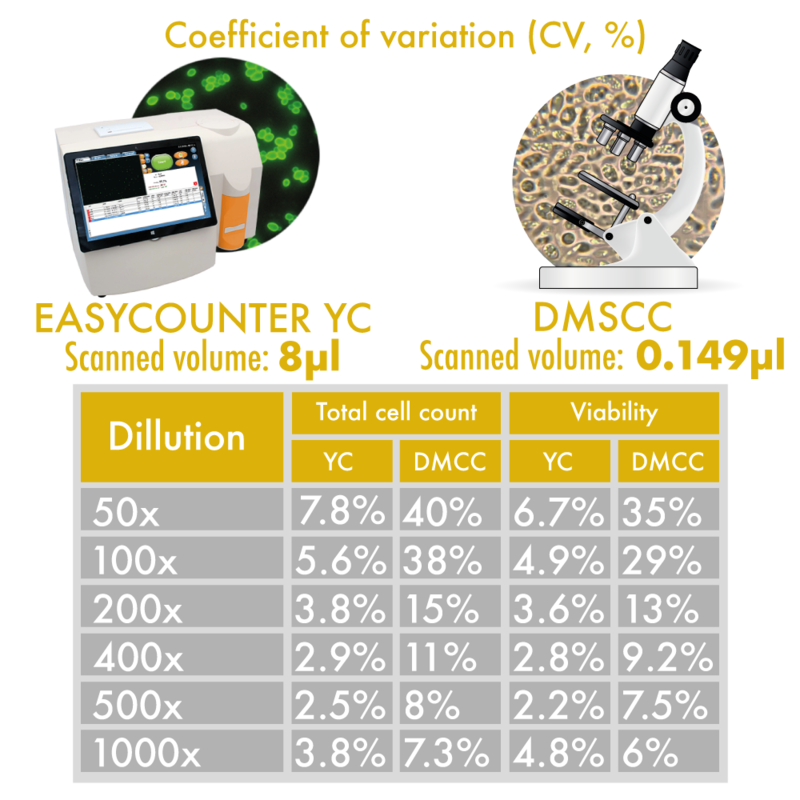 EASYCOUNTER YC possesses the largest volume of scanned sample up to 8 µl that guarantee low coefficient of variation, better than the direct microscopic counting. 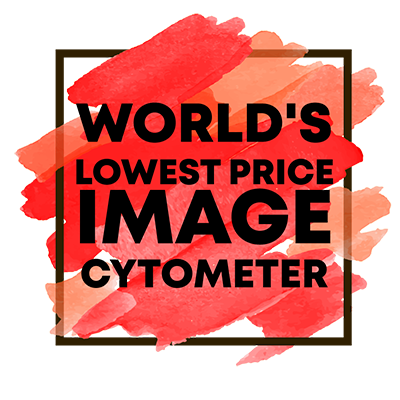 12 times larger area than similar instruments. business_center	 What's in the box? 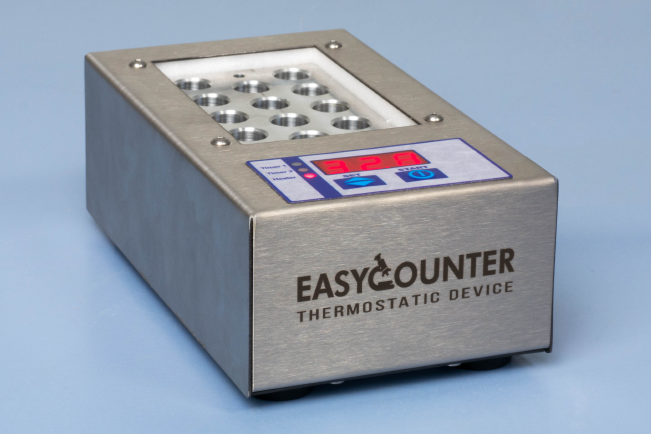 EASYCOUNTER YC is designed to be used for yeast analysis in the production of beer, bioethanol, bakery, research laboratories. 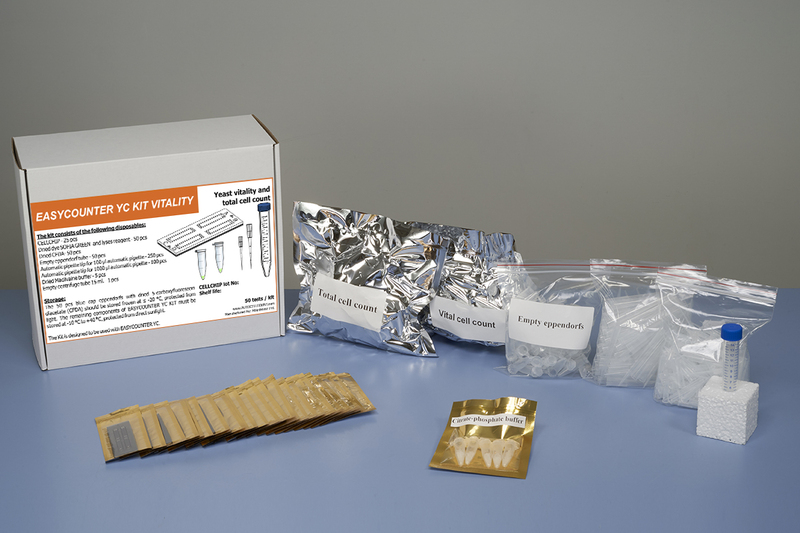 It is not intended for human or animal therapeutic or diagnostic use. 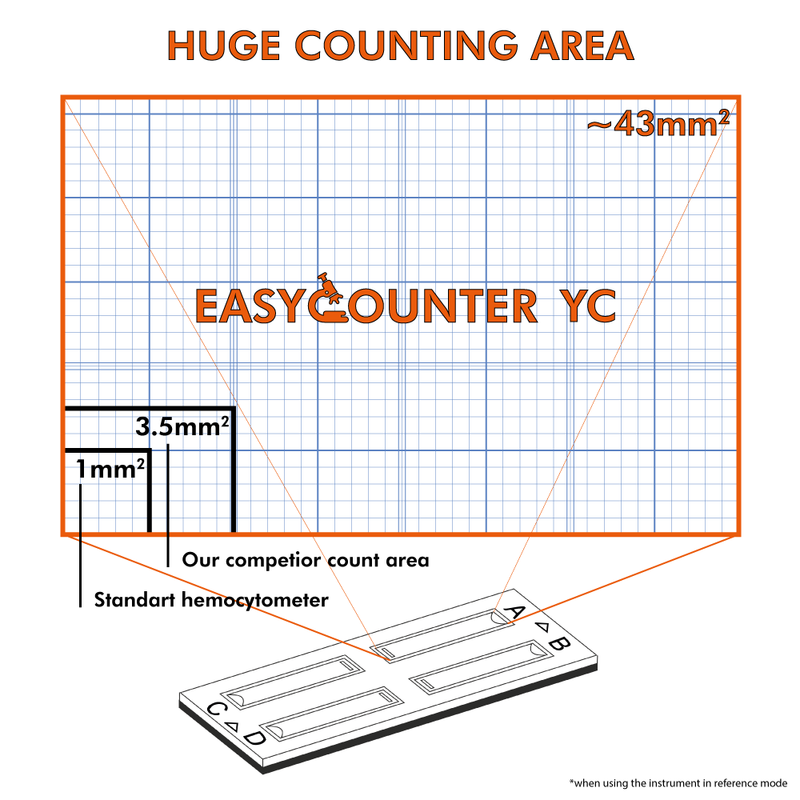 Fast, accurate, reliable yeas count. Indoor temperature 15-35°С. 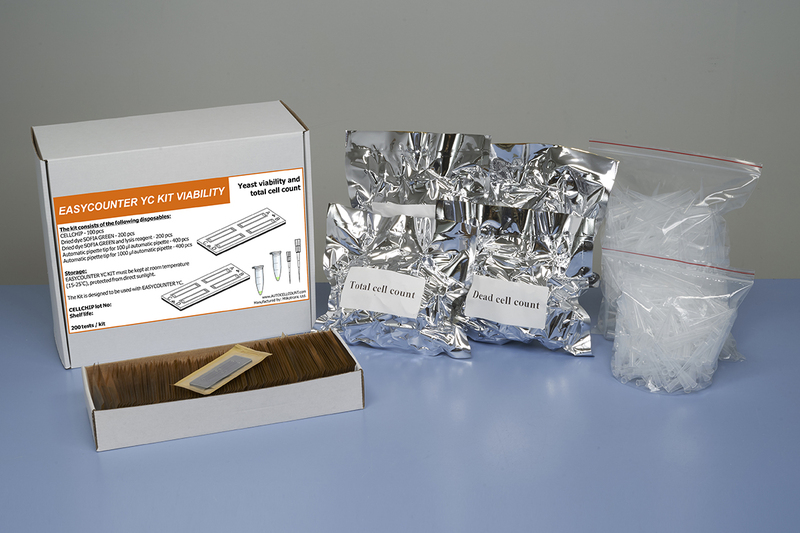 It is not recommended to place it in a room where the temperature is below 4°С. 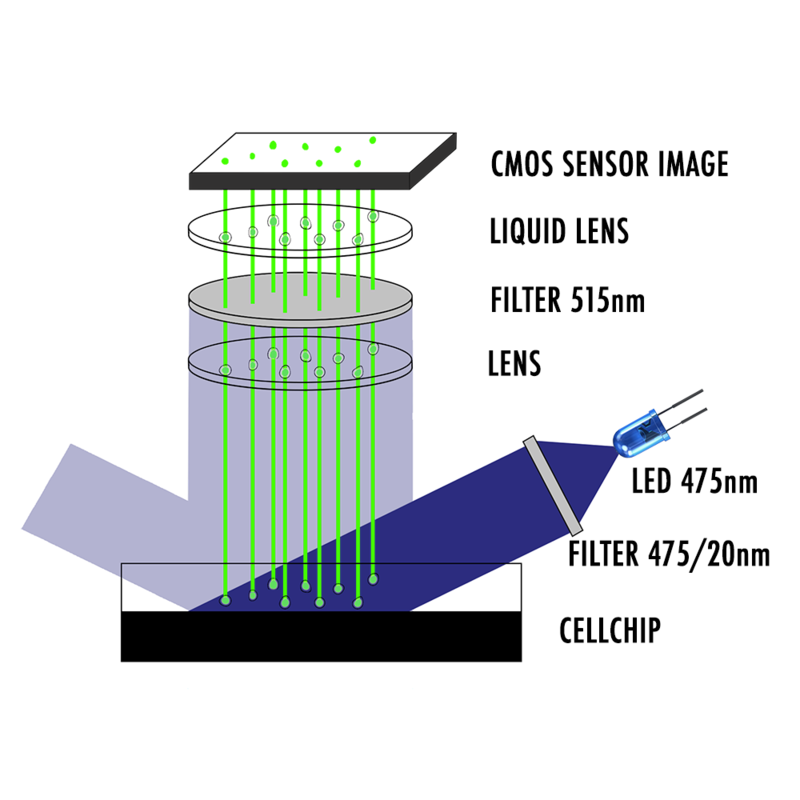 Prevent exposing the device to direct sun light. 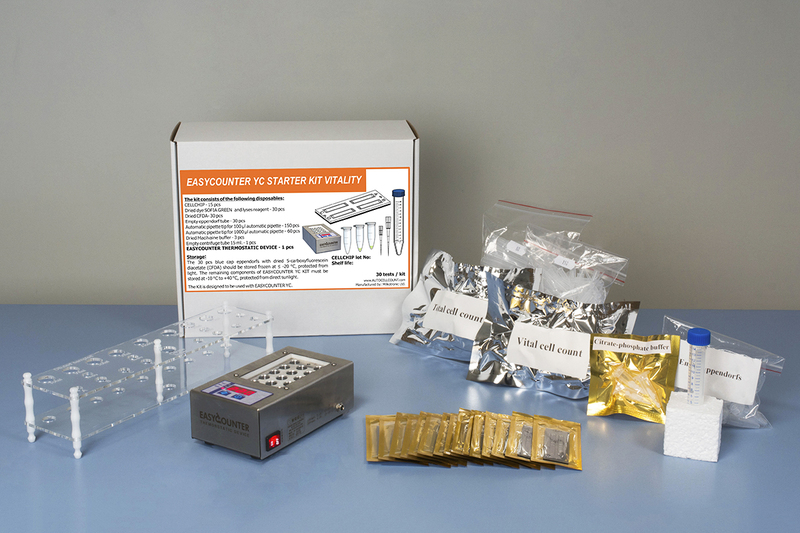 Prevent exposing to a continuous vibration. In a place free of corrosive gazes or other corrosive substances. In a place free of dust. 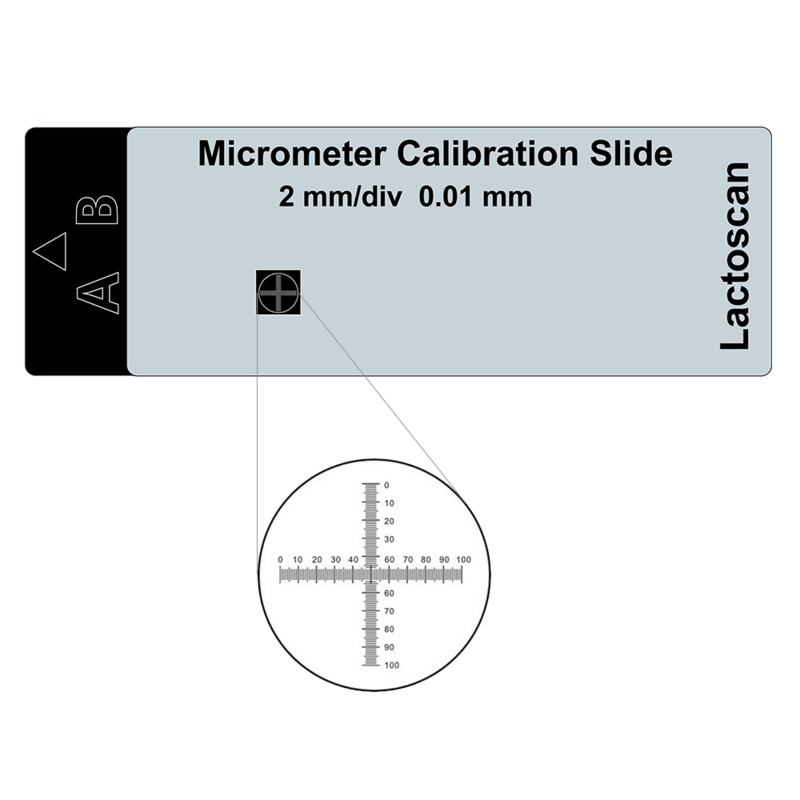 10 cm (4 inches) is the minimum required distance for normal air flow. Do not place any heavy object on the device. business_center What's in the box?